Expedition Education Modules are designed to share the excitement of daily at-sea discoveries and the science behind NOAA’s major ocean exploration initiatives with educators, students, and the public around the world. 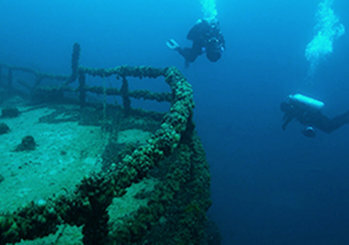 The Battle of Midway Expedition offers a unique opportunity for explorers of all ages to investigate World War II maritime heritage. You might choose to learn more about why NOAA and its partners are exploring this particular deep-ocean area, what advanced technologies are being used, and what explorers are hoping to find. You might also be looking to learn more about the explorers themselves so your students more fully understand what skills and expertise are required to support careers in ocean exploration. You just might need a short video or images to complete your lesson unit on a particular topic. Whatever your NOAA deep-ocean exploration education needs are, we hope that you will find them all met here in the Expedition Education Module. 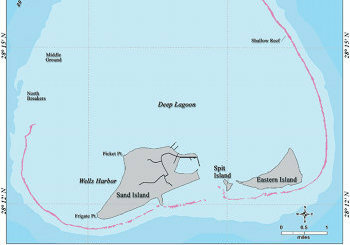 Why Explore the Maritime Archeaology of Midway Atoll? 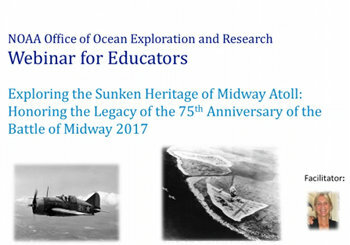 A webinar for educators describing the expedition and associated education materials. Lessons and other tools that help bring expedition science into your classroom. The following expeditions cover topics similar to those of interest on the current expedition. The 2015 and 2016 expedition web pages have an education component with associated lessons and other resources that you might find useful to classroom teaching and learning. 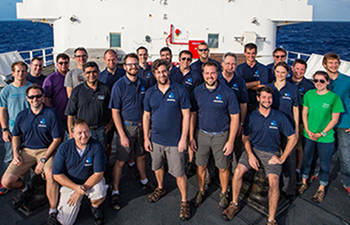 Meet the Science Team and learn more about ocean exploration careers. Ocean Today is an exciting, multimedia kiosk in public aquariums that features videos on all aspects of the ocean realm — exploration and discoveries, marine life, and science. Find out more at https://oceantoday.noaa.gov. Here we feature Ocean Today videos that support teaching and learning related to the current ocean expedition.